Usually this is followed by another attempt to do something that “couldn’t” be done minutes ago. Some attempts are more successful than others, but many times the thing that couldn’t be accomplished is. I think it has to do with positive thinking. If you think you can’t do something then you won’t even if you are truly capable. Why? I like to think it’s because you’re thinking negatively and that only attracts negative thoughts and actions. It’s like a case of bad vibes. If someone gives you a bad vibe, there is nothing good that’s going to come out of a situation. Here’s a fun fact about me…I read a lot of books about the power of positivity and the laws of attraction. While some people may think they’re nonsense, I truly believe in their message. I think there is some validity in the fact that positivity nets positivity. That’s why I try to teach my girls to think positively, even in the most negative situations. A big slice of the positivity pie is gratefulness. If you count your blessings and are grateful, those positive thoughts will bring more good things. That’s one of the reasons I have my girls say their prayers at night. Even when they’re thankful for something as small as the yummy pork chops I made for dinner, the fact that they’re grateful for something is what’s important. They’re not only learning to be thankful for the little things, but are also sending out positive vibes. Hopefully those positive vibes will make their way back into their little lives. After my kids say their prayers, I say mine too so they can hear what I’m grateful for. Sometimes mine are “silly” like being thankful that I survived my boot camp class without collapsing. I get a few giggles and smiles. The point is that my kids are seeing me express gratitude as well. It really is a fact of “practice what you preach”. I think it would be unfair of me to expect them to express what they’re thankful for each night while I “peace out” and just say good night. It’s all part of teaching them to be positive. Trust me, everything is not rainbows and unicorns at my house. There are plenty of rain clouds. There’s yelling and crying just like at everyone else’s house. But, I hope the seeds of positivity and gratitude over shadow all of that. I hope in the end my girls realize there’s no such thing as “I can’t”. There’s always “I’ll try”. There’s no such thing as finding nothing to be grateful for because we know there’s always something. You can find gratitude and positivity, even if it is in pork chops. 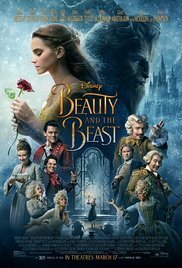 Over the past weekend, we took the girls to see “Beauty and the Beast”. They were driving us nuts to go see it at the theater even though I warned them it was a two-hour movie. Honestly I didn’t know if I could handle sitting there for two hours with them. I was leaning towards waiting until it appeared in the Redbox, but, like good parents, we took them. The packed audience included moms and dads, like us, with their kids. But that wasn’t all. What I didn’t expect to see were people, young and old, without any kids. I questioned why they would want to see a “kid movie” if they didn’t have to? After the movie started, I began to see why. It’s not a “kid movie” by popular definition. Not at all. Not only were the acting, music and costumes incredible, but the story itself is one I think everyone longs for deep down…a love story with a fairy tale ending. Think about it. Everywhere we look there seems to be negativity. Whether it’s on the news or in our daily lives, it seems everyone has issues. It can be a real soul drainer. In real life, we hardly ever get a fairy tale ending. But, in the movies the possibility exists. For two hours we can escape and get sucked into a story and a world that has a fairy tale ending. I did. I honestly would not have been aware of the length of the movie if one of my kids didn’t ask me when it was going to be over. I was so invested in the story. Ironically, I ended up enjoying it more than they did. My husband even admitted he liked it. Go figure! As much as we would like, we can’t always create an imaginary world with a fairy tale ending, like our children. So, as I looked around the audience during “Beauty and the Beast” I couldn’t help but think and even hope that everyone was there because we all love that fairy tale ending. 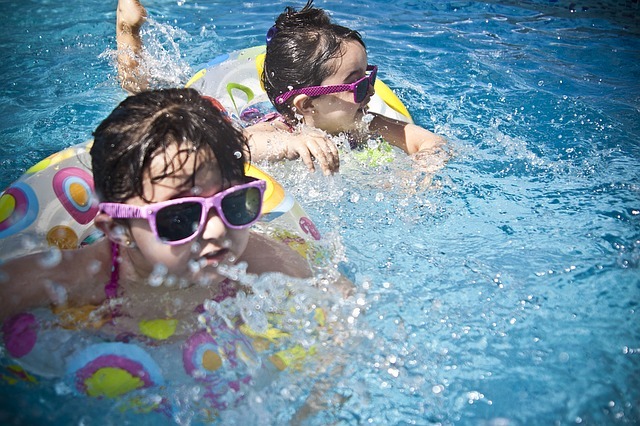 Is it Too Late to Unplug Our Kids? Kids and technology. It seems to be a love-hate relationship for parents. For me these days it’s more of a hate relationship. Everywhere I go I am seeing more kids plugged into technology, glued to a screen, walking around like zombies. This frustrates me and makes me sad at the same time. I wish we could rewind to the days when Atari was considered ground-breaking technology and the thought of having a cell phone seemed like something only the Jetsons could achieve. But, the reality is many kids are obsessed with their various devices to the point they don’t know how to have a conversation or use their imagination. Market research found that children ages five to sixteen spend six and a half hours in front of a screen everyday! If you take into consideration the fact that they sleep for at least eight hours if not more, that means there’s less than ten hours left in the day. When you factor in school and activities, there’s hardly anytime left to have a simple conversation. 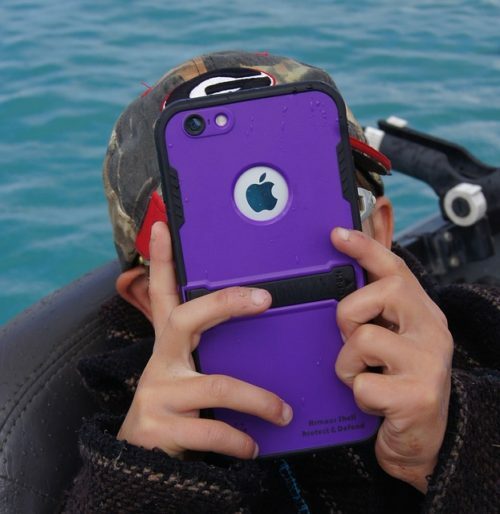 Is it too late to unplug our kids or have we lost them to technology forever? I guess it depends what side of the screen you’re on. Have you ever watched a child while they’re on a device? It’s like they’re in a trance. It totally consumes them. Part of me thinks that’s why so many parents let their kids spend so much time on them. It acts like a free babysitter. No parenting required. No interaction needed. Sad isn’t it? Before you think I’m a technology hating mother who only lets my kids play with pen and paper, I will tell you my kids do play games on my iPad and my phone. But, they do not have their own devices. Why do a 7 and 5 year-old need their own iPads or tablets or kindles? I’m sure many people have their reasons, but they’re not enough for me to take out my credit card. I am fully aware that kids need to understand and work technology to exist these days and to compete with the rest of the world. I know there are a lot of educational apps and games and books to read. Does that mean we throw out real conversations and books or imaginary play or the arts? I surely hope not. From what I see that seems to be where we’re headed, if we’re not there already. So many kids don’t know how to interact with real people because they spend so much time interacting with their devices. In order to change the tide, there needs to be balance, as with anything in life. While my kids are allowed to use technology on a daily basis, I usually limit their usage to 15 minute intervals. Once the time is up they have to go and do something else that doesn’t involve a screen. Most of the time they agree, other times I’m “mean.” I can live with that title if the result is that my kids go out and play or use their imagination instead of gluing their eyes to a screen. When it comes to technology addiction many kids are only copying what they see their parents do. Truthfully there are times when we’re no better. I know I’ve been guilty of a little phone addiction every now and again. Do we really need to constantly check our Facebook feed to see who is blowing their nose every minute? I think we all know the answer to that. That’s why I have a little rule called “no phones at the table”. It means just what it says. My husband and I are not allowed to have our phones at the table when we’re having a meal. This way we can pay attention to each other and have real conversations. Crazy, I know. But, it works. Don’t get me wrong, it’s tempting to run over and check a dinging text or go back and finish scrolling through Facebook. But, it’s also important to set an example. If kids see their parents glued to their devices, they may be more inclined to do the same. If we set the example that technology is not king, then maybe we can start to slowly unplug our kids, one device at a time. Hopefully it’s not too late. Death is one of those things that is indescribably difficult to deal with and to understand. Imagine trying to do it as a child who still believes in things like the tooth fairy and the Easter bunny. It’s nearly impossible. But, as parents it’s one of our toughest jobs. It’s tough because it’s painful and because there doesn’t seem to ever be the right words. Finding the right words should come easy when you’re used to writing for a living, but that is not the case with something as fragile as death. You need kid gloves, no pun intended, to delicately explain to a child why someone has left this Earth. I am by no means an expert when it comes to this subject, but I’ve had to do it so many times already that I’m unfortunately becoming more used to the uncomfortable situation. When someone they love dies, the hardest part is telling my kids they’re never going to see that person again. They’re never going to get or give a hug. They’re never going to hear that person’s voice. It’s heartbreaking to see their faces when it begins to sink in. And sink in it does. Although they may not understand how bodies are buried and souls go to heaven, they can understand the fact that they’ll never see someone again. Then, of course, come the questions of why. Why did someone have to die? Why did they get sick? Why couldn’t the medicine fix their boo-boos? These are all questions none of us know. The best answer I can give is to be honest and admit that I don’t know why. As disappointing of an answer as that may be, it’s the truth. When it comes to a subject like death, the best thing we can do for our kids is to be honest. With that honesty comes the acceptance of letting them be sad. Parents don’t like to see their kids in pain or sad or crying. We always want to take their pain away and make them feel better. Sometimes we just can’t and that’s okay. What we can do is comfort them through their sadness and let them know it’s okay to be sad and to cry and to miss someone. It’s part of being human. It’s part of having emotions. My kids have seen me cry when someone dies because just like them, I’m sad. I don’t know if it makes them feel any better, but at least they know it’s normal and everyone is human…even moms. While I let them see me cry, I also let them see me wipe away my tears and get up again. Hopefully, that is teaching them they can take their time to mourn, but at some point, they have to keep going, as difficult as it may be. Grief can’t consume you. I try to tell them that the person who died would not want them to be sad forever. They would want them to be happy and play and dance and do all those things that make them a kid. These words seem to work, at least for now. But, I also tell them you don’t forget about the person who died. We never forget. As parents, we can help our kids keep memories alive by maintaining traditions and continuing to do the things we used to do with the person who is no longer with us. Traditions don’t die with a person unless we let them. Kids should know that keeping traditions is how we keep loved ones with us always. If death teaches us nothing else it is that life is fragile and tomorrow is not guaranteed. That’s a lesson we can all learn no matter how big or small. They’re just two words, but they mean a lot. Sure you may say them from time to time. Hopefully, you teach your kids to say them too. But, when was the last time you sat down and wrote a thank-you card to someone whether it was for a gift or something nice they did? Better yet, have you ever made your kids write or sign a thank-you card? I can hear the crickets as you read this. 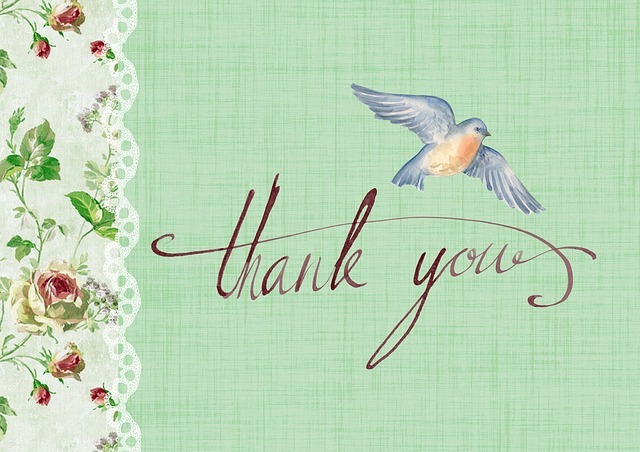 In the age of texts and tweets, the thank-you card has long been forgotten. While bordering extinction, it’s hanging on by a thread. While a lot of people may say who cares? I actually do. That’s why I still make my 7 & 5 year-old write and/or sign thank-you cards when they get gifts. I know, I’m such a nag. But, I’ll take the title proudly if it means my children learn they are not entitled to things and need to express their gratitude. Just because it’s your birthday doesn’t mean you have to get a gift. Someone felt like doing something nice for you. The least you can do is send a thank-you card. It’s a pretty simple concept. I know, I know. Why would you take the time to go to the store, buy a thank-you card, sit down and actually think of something nice to write, buy a stamp to put on it, and then go to the mailbox? Even more so, why would you sit down and have your child write one (if they’re old enough) or simply sign their name? Quite frankly because it’s the right thing to do. Believe me, I’ve heard all the excuses why not to send thank-you cards. They end up in the trash. The cards are too expensive. The stamps are too expensive. I don’t have time. Blah, blah, blah. Of course if that’s what you think, that’s what your child is going to think too. The thank-you card will never get the love and respect it deserves. It will die along with all the other “old school” things like dressing up on a holiday and asking to leave the dinner table instead of bolting like it’s on fire. I think we need to bring some of those things back if you ask me. If you really break it down, the time and money spent on thank-you cards doesn’t have to bankrupt you or take up your day. You can go to the dollar store and get a pack of at least 6 for $1. Stamps are stamps. They cost what they cost.You just need to deal with it. In reality, it may take you a half-hour tops to write a handful of cards with your kids. Big deal. Isn’t that time well spent together? I think the pros of writing a thank-you card outweigh the cons by a long shot. In my eyes, there really aren’t any cons to hand-writing a thank-you note. Just think…the person getting it will be excited to get something other than bills in the mail. Maybe you can instill a little love for the thank-you card in your kids so it truly doesn’t become extinct. That wouldn’t be so bad. Give it a try. As a mother you’re always looking and waiting for your child’s next milestone. Learning to talk, learning to crawl, learning to walk…they’re among the biggies. As children get bigger, so do the milestones. Things like getting a driver’s license, graduating from high school, graduating from college…they all signify major changes. While we our mindful of our children’s milestones, our milestones as mothers seem to get lost in the background. Whether you are a working mother or a stay-at-home mother, sometimes the big changes in our lives seem to go unnoticed. For many of us, having kids means taking a bit of a backseat. But, what happens when you get to ride shotgun again, even for just the short rides? Well, I guess you can say that’s kind of what’s happening with me these days. If you follow my blog regularly (which you should), then you know my youngest daughter started Kindergarten this year. I was and still am sad to see her go. We were like peas and carrots while her sister was at school. Although she went to pre-school, Kindergarten is a whole new game. Her and I had a good thing going, but now that’s all changed. For better or for worse, that special time is over. We still have our time, just not like that. Now, for the first time in five years, I have a bit of unprecedented freedom. It is a new frontier for Mom. What am I talking about? I’m talking about being able to focus on myself more and not feel guilty. As a stay-at-home mom for five years, a lot of what I did or didn’t do revolved around my kids. Honestly, I wouldn’t change one second of it. I feel totally blessed to have been able to stay home and witness so many of their milestones first hand. There comes a point when your role as a mother shifts. Trust me, my kids still need me, but it’s different. They’re just not as needy if that makes any sense. They can go off and play together while I work on writing in the other room. They can sit quietly and watch TV or read a book. I don’t have to worry about someone choking on a Lego while I try to meet a deadline. We still have our time together, but I can have mine too. Before you think I’m about to pull a “Thelma & Louise”, I’m not. But, I am ready to explore. It’s only been a week and in just one week, I’ve already been able to scope out new writing and job opportunities…ones I wouldn’t dare to before because I just didn’t have the time to devote. I can carve out a new path for myself which is exciting, liberating, and scary all at the same time. I can try to figure out what’s going to work and what isn’t right now as we all adapt to these changes. I can think out of the diaper box and it feels wonderful. Some may say I could and should have done this all along. But, I chose not to. Everyone makes decisions that fit their lives. That was my choice. I don’t judge you, so hopefully you won’t judge me. Although I feel like a little Davy Crockett these days as I explore new frontiers, I still miss my babies when they’re at school. I wonder what they’re doing and if they’re having a good day. I wonder if they ate their lunch, if they went to the bathroom, and more importantly if they washed their hands. That’s why I love seeing their smiling faces when they get home. I love to be able to hear about their days and help them with their homework and just be their Mom. I am even more focused when they get home because I’ve had “my time”. Now this is their time.I don’t feel frazzled because I’ve played ten-thousand rounds of Candy Land or played referee to a million arguments. If you’re a stay-at-home mom, I’m sure you can relate! There is a bit of Zen in this new frontier and it is simply amazing.